Compass Yacht Delivery was founded by Sven Vervaert. He is an extremely goal-oriented person, with his entire life being spent focusing on “what’s next”. Having spent half of his life out of his home country gives him the ability to tackle cultural barriers and gel with people from various countries and ethnic backgrounds. Sven has spent much of life in, on and near water, growing up in the ancient Belgian port-city of Antwerp. A globetrotter, sailor, life saver, CMAS dive instructor and avid kite surfer from young age Sven holds the qualification of Yacht Master Offshore and is GMDSS and SRC licensed. 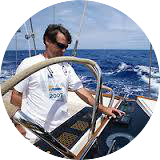 He has over 15 years of experience on many different sailing- and motor- yachts on four different continents. From hobie 16 catamarans to 80ft barges to modern cruising and regatta yachts, and from fast RIB’s and tenders to slow big river-boats to planing 150ft. luxury power yachts. Available in Dutch, French, English. "Many thanks for taking such good care of our Hanse 575 on the delivery from Greifswald to the Hamble. When it came to looking after the boat nothing was too much trouble. I was impressed by how carefully various factory issues were documented and how you wrapped everything to protect it from accidental damage. Even having done this the crew were careful to use as little of the boat as was humanly possible. In fact the level of care was so high that I believe the boat was cleaner and in better condition after the delivery than before it. I will have no hesitation in using your team again when we need to move the boat to another location". "I first worked with Sven on an 82' yacht called "Ocean Dragon" where he was Skipper and employed us to complete an electrical refit. He immediately proved to be an excellent Manager. Since both starting up our own businesses we have come to rely on one another's services ever since, with Compass Yacht Deliveries proving to be very reliable, professional and typically organised as I have come to expect of Sven! All in all Sven is a great guy I would recommend his company to anyone in the marine trade". "I would strongly recommend Sven as skipper aboard one of your crewed yachts. I asked Sven to come with me aboard my own 65 foot yacht recently, on a delivery trip from Barcelona to The Caribbean. As an RYA Yachtmaster (Ocean) myself, I may be better placed than most to appreciate his qualities, both as a competent skipper and from the social skills point of view. As a skipper he gave me great confidence (in some rough weather) and I would be happy to sail with Sven again in either good or bad weather. He has an easy personality and he quickly established a good watch routine. 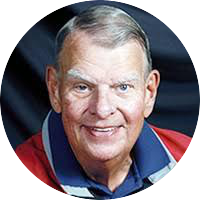 He was careful of my boat and was easily able to bridge the difficult gap of both being in charge as skipper and a paid employee." 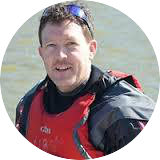 Sven founded Antwerp Sailing & adventures back in 2005 and was the driving force behind it. During those years Sven became also Belgian Champion in IRC1 and di a tremendous amount of deliveries in Europe and The Caribbean. You can follow him and his team in Belgium on their Instagram page and you can even become a fan if you like it!